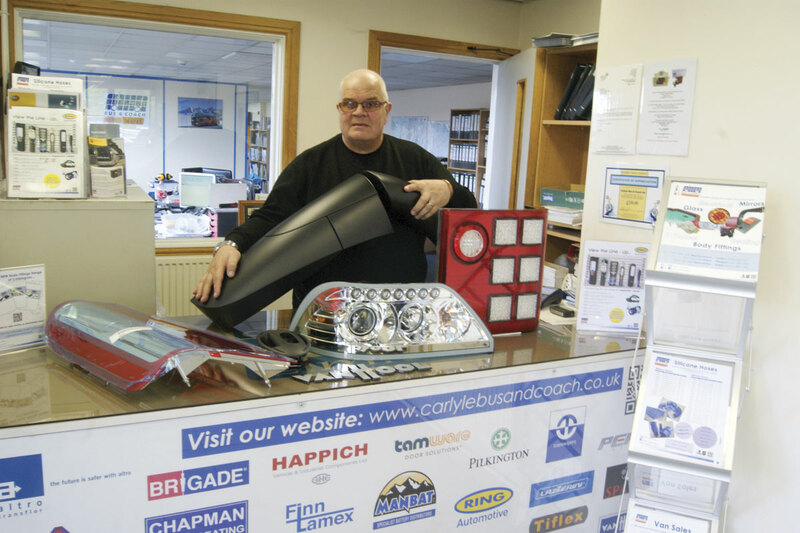 Improvements and new developments are an even more regular occurrence at Carlyle Bus and Coach. Last year, Chris Peat covered the company’s management changes (see B&CB 1280, 13 June 2014), representing a new chapter in its history. His latest trip to the West Bromwich based business was to take in a new milestone as it celebrates 30 years of being an official Van Hool parts supplier to the UK. The relationship with Van Hool goes back to 1985. One of the parts supplier’s contacts then was Leopold Van Hool, Director of aftersales of the Belgian business. It all started when vehicle dealership (and coach operator) Don Everall in Wolverhampton began importing Van Hools with Ford chassis. These were some of the first coaches of the Belgian marque to be brought into the UK. However, Don Everall’s main focus was being a Ford dealership rather than a parts provider, so the aftermarket support was perhaps not as extensive as Van Hool would have liked. Prior to Carlyle providing Van Hool parts, there were a variety of dealers throughout the country who could sell them to operators. However, Carlyle Director, Neil Bottrill, said there was a problem with inconsistency of price, which was affecting sales of the marque. For instance, one dealer in Scotland might charge a completely different price to one in Cornwall, as the pricing structure was all down to how much each supplier decided to charge. Neil said one of the ways Van Hool aimed to improve its foothold in the UK was to introduce a better aftermarket structure. ‘That’s where we got involved,’ said Neil. Carlyle took on David Jones from Don Everall to specialise in this. David was originally involved with importing Van Hools with the Ford dealership and has worked for Carlyle ever since. Incidentally, he was due to retire the day after my visit. It took no short amount of effort to get a photo with him in as he is notoriously shy. However, his colleagues insisted, saying it would be good to finally put a face to a name of someone so well known to their customers. With David onboard in those early days, the contract making Carlyle an official Van Hool parts supplier was signed at the Royal Anglo-Belgian Club in London in May 1985. The operation was set up so that it had the largest stock of Van Hool components in the country, something Neil says it still has to this day. Carlyle becoming an official Van Hool supplier meant the coach producer now had a central stock source in the UK. The partnership has ironed out the above mentioned inconsistencies in parts pricing too, which Neil believes has helped make Van Hool an even more popular product on these shores. Neil told me the two companies regularly communicate, share a close relationship and often meet in person to discuss stock levels. During the early days of the agreement, a representative from Van Hool came over to train Carlyle’s staff in the parts and vehicles. Inevitably, there have been some changes in the way the parts are supplied over the 30 years. One of the main differences between the early days and the present is that a computerised system is now being used. Before this, product and part knowledge was highly important. Matching the right component was largely done based on the customer’s description, which Neil described as ‘often sketchy’, so knowing the vehicles inside out was key. Strengthening this relationship is the idea both do not have a high staff turnover, with some employees still on board after 20 years. 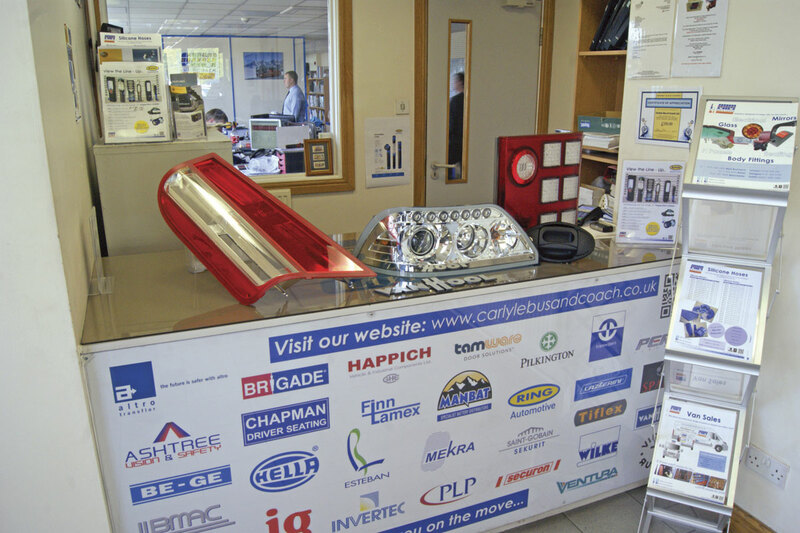 Close co-operation also helps Carlyle work around the continental manufacturer’s close down periods. Though wide and varied, the Van Hool element makes up only a part of the £7m worth of stock held by the company, which supplies components from a plethora of vehicle marques. Among the most popular Van Hool items supplied are corner bumpers and lockers, and a tremendous number of variants of these are stocked. Anything that can be damaged in an accident will usually be kept in large amounts. Windscreens are replaced fairly often too and to cope with this, the company keeps a good supply of glazing: approximately £4m worth. It is one of the major suppliers to bus and coach glass fitters in the UK. Its vehicles have been specially kitted out to carry glazing. 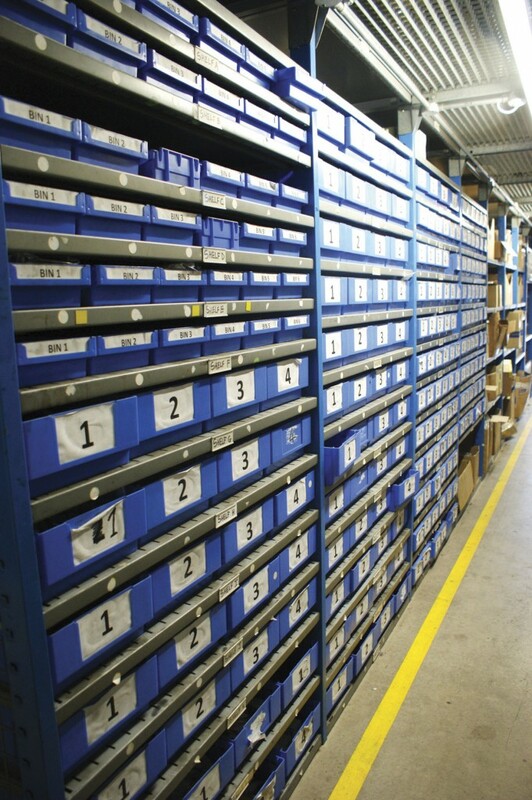 Having such extensive stock not only helps Carlyle meet demand, it is often a requirement to meet criteria for some of its parts supply contracts. It was taking in a large amount of stock during my visit to ensure it met the demands of a recently won contract. The deal was for it to be the parts supplier of choice for a large inter-city service running Van Hools. Another similar contract for Van Hools involves supporting the Aberdeen hydrogen buses being operated by Stagecoach and First. The company put extra stock into its Glasgow site to help fulfil this commitment. Neil said he expects more of the same in terms of its partnership with Van Hool, as well as for the rest of its products and activities. The company is still growing, he says, particularly with the addition of the above mentioned contracts. Other aspects of its work, including metal work and bodywork repair for PCVs, are also becoming increasingly busy. Investment has recently been made in new machinery for the metalwork section to help deal with this demand. A future development Neil foresees concerning Van Hool is related to the start of manufacturing at the Belgian company’s new Macedonian plant where the EX range of touring coaches for the European market is being built. 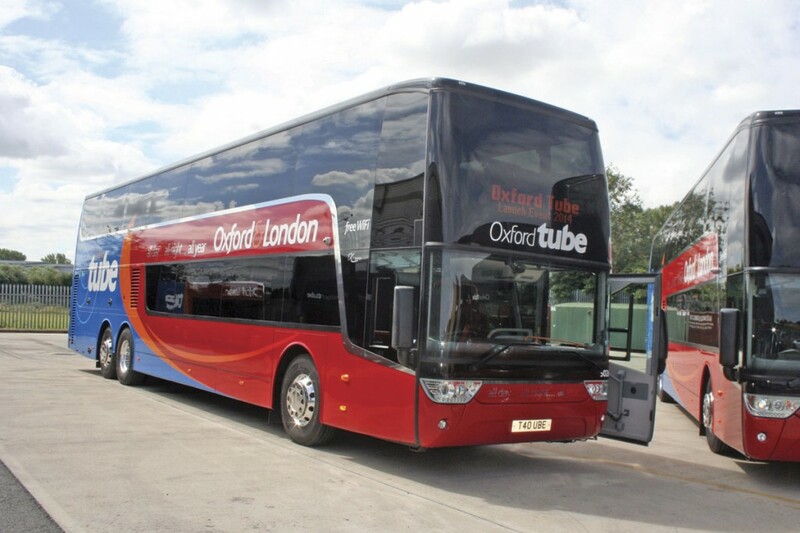 Although retaining the high quality it is renowned for, this new line of coaches is designed to offer a standard solution rather than the more tailor made product typically offered by the manufacturer. With the introduction of this new coach range, Neil believes Van Hool will achieve additional sales, which will in turn benefit his business. 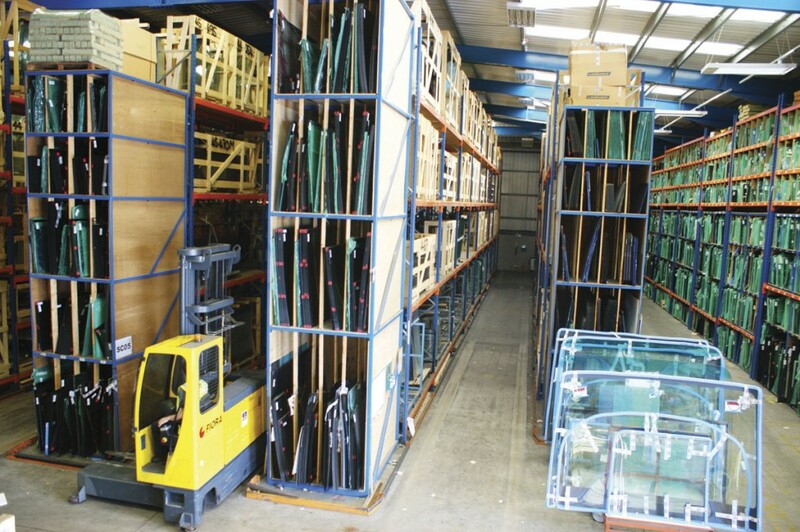 Carlyle will be stocking all glass and lights and other components for the EX in advance of substantial numbers coming into the UK.